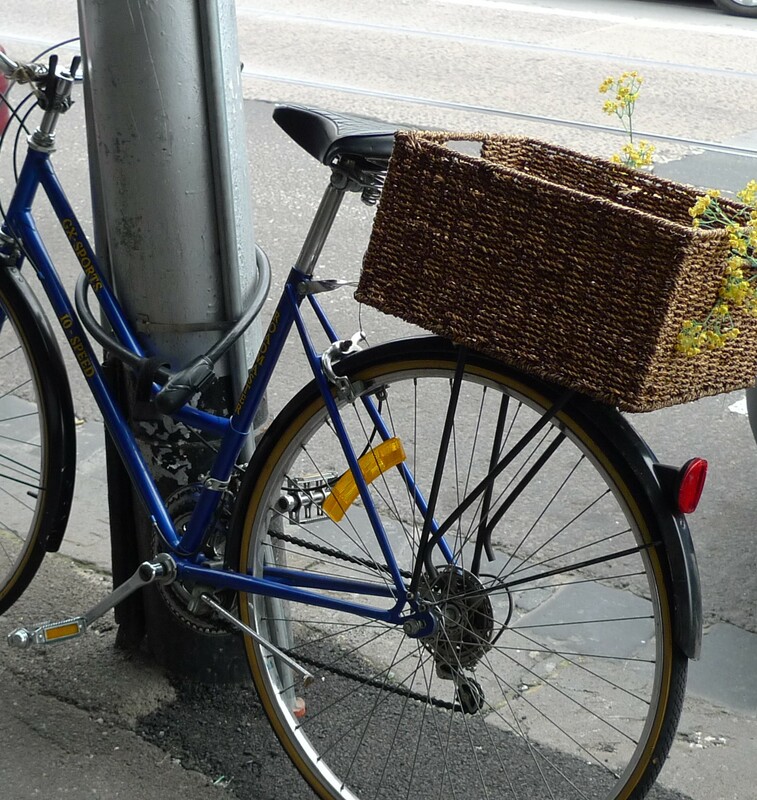 21st of August, a beautiful day for a ride and a market trip. 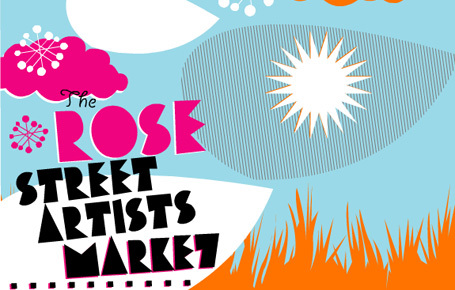 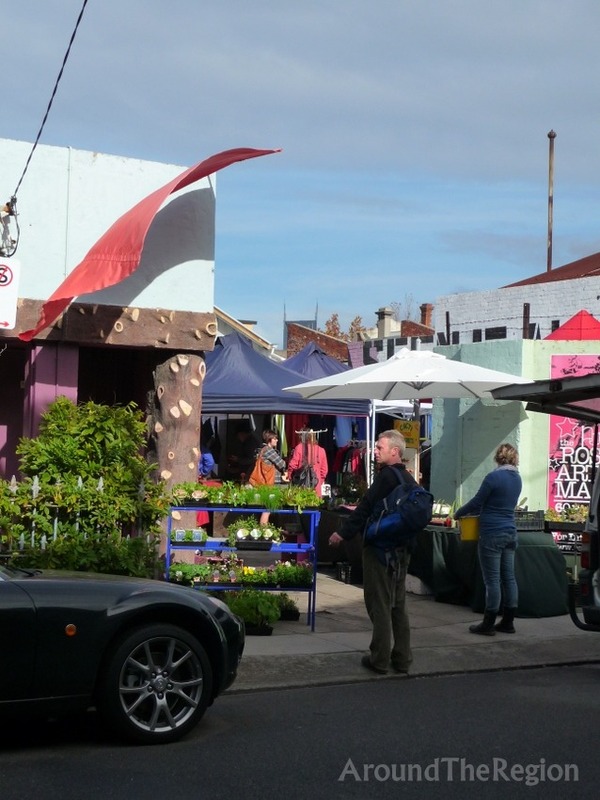 We will be open from 11am-4.30 today at the Rose Street Artist Market in Fitzroy, off Brunswick Street, located at the rear of the market, well you can’t miss us really, we are the ones surrounded by lots of cool old vintage bikes, many serviced and ready to ride away into this gorgeous sunny Spring day. 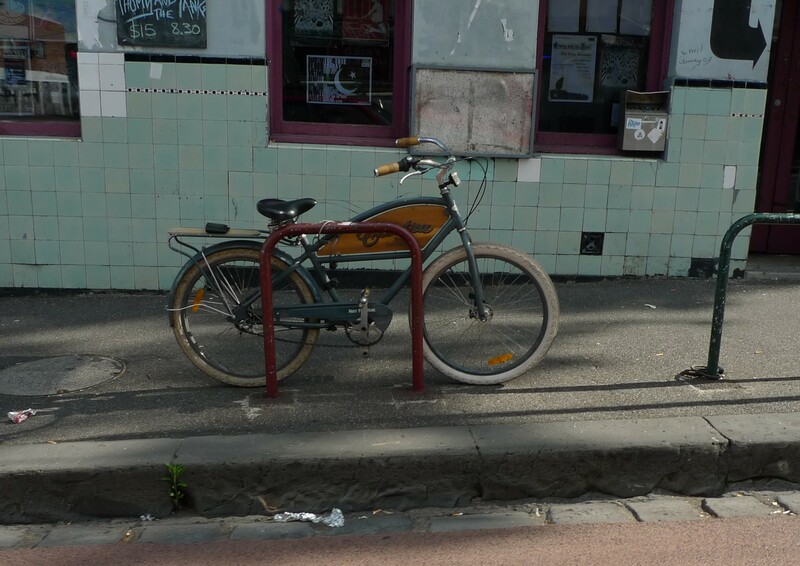 Mottainai recycled vintage bicycles, Fitzroy Melbourne. 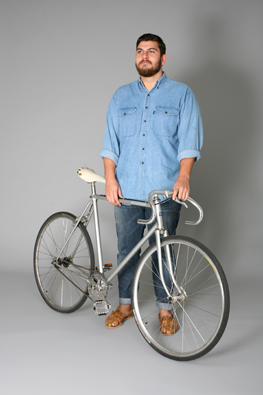 It’s time to respect the style and craftsmanship of old bikes, there is no reason why we have to keep buying new bikes and discarding our used ones. 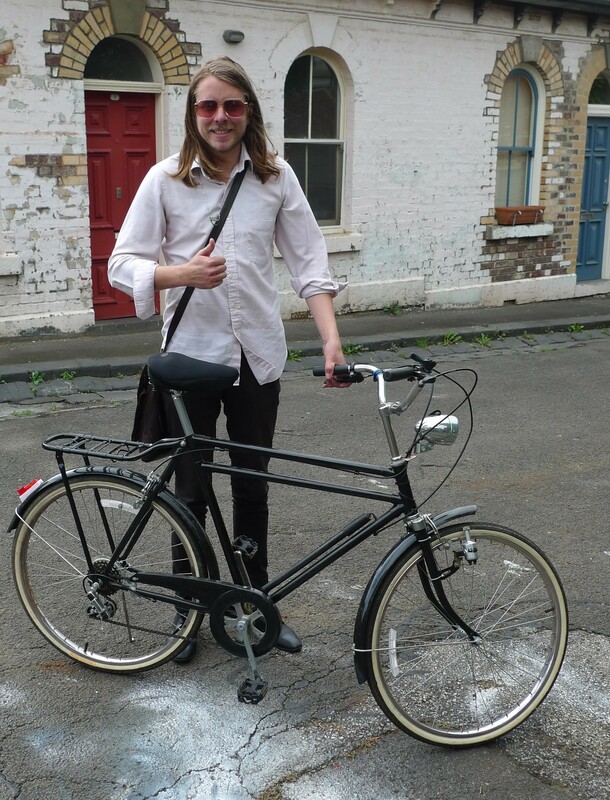 Most new ones are mass produced in China which just fuels the blind monster of consumerism, these new ones just don’t last the distance and are not made to endure. 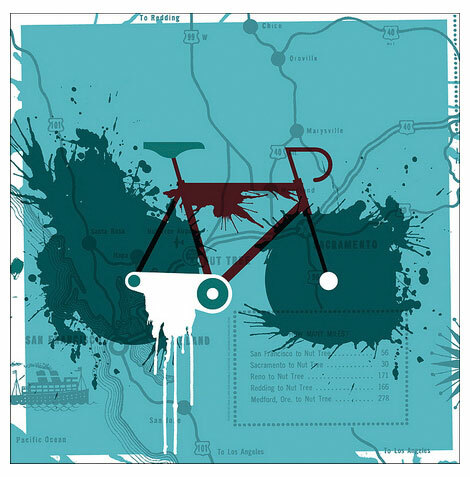 Alternatively, the old stuff reeks of retro coolness and are embedded with the traces of the past, every scratch a story. 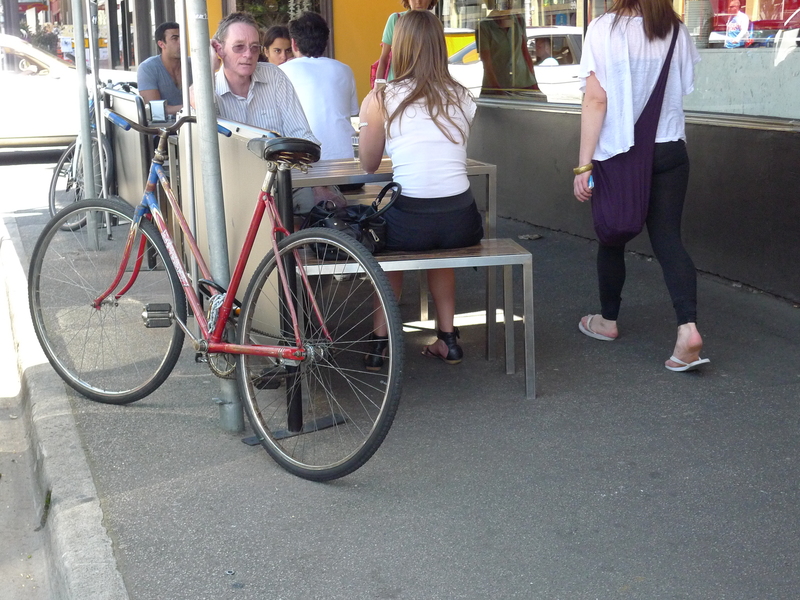 Why are we so obsessed with the ‘new’ the perfect paint job etc? 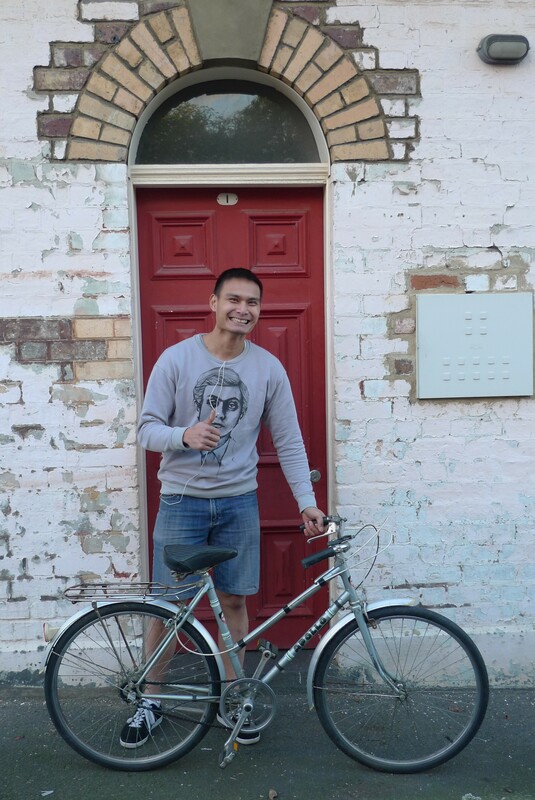 A vintage bike with the original paint, faded with scratches compels me to imagine it’s history and at the same time enjoy the design and craftsmanship. 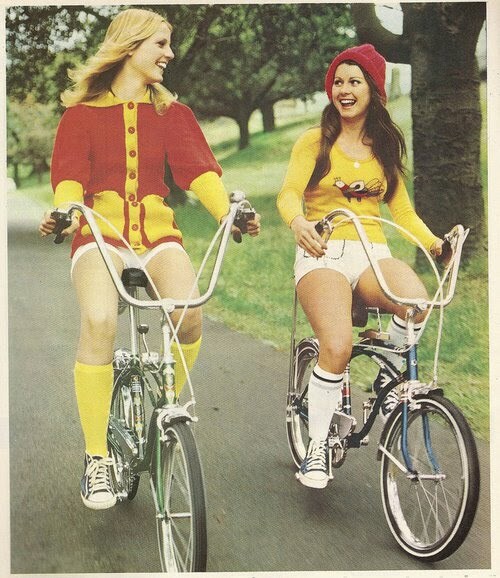 Vintage bike pics selected from the net. 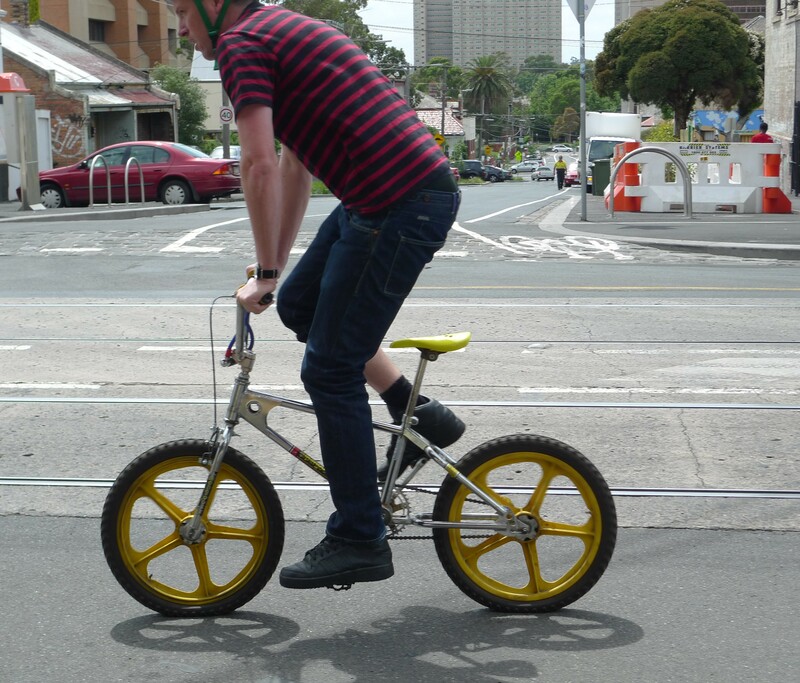 Some interesting photos of bikes and their riders. 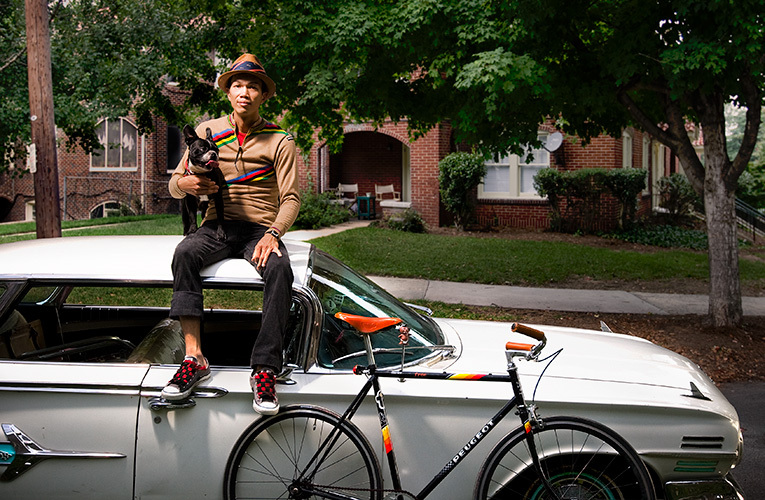 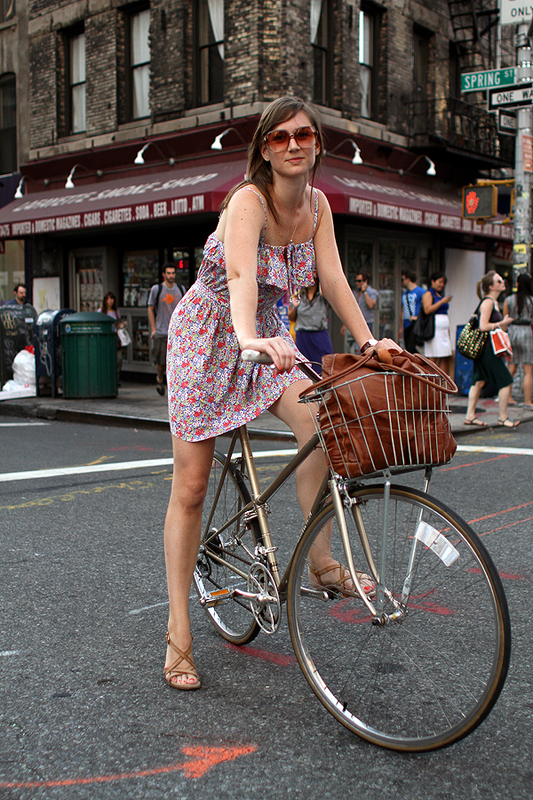 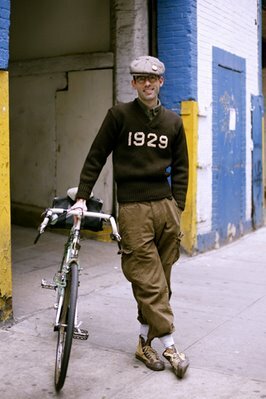 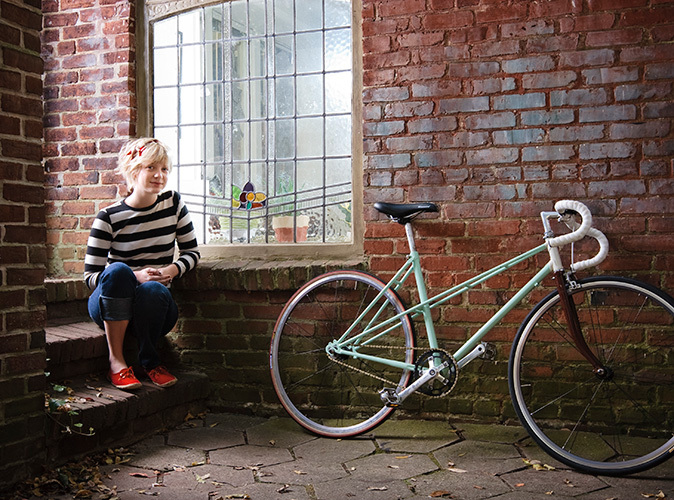 Beautiful pictures of peoples on vintage retro bikes. 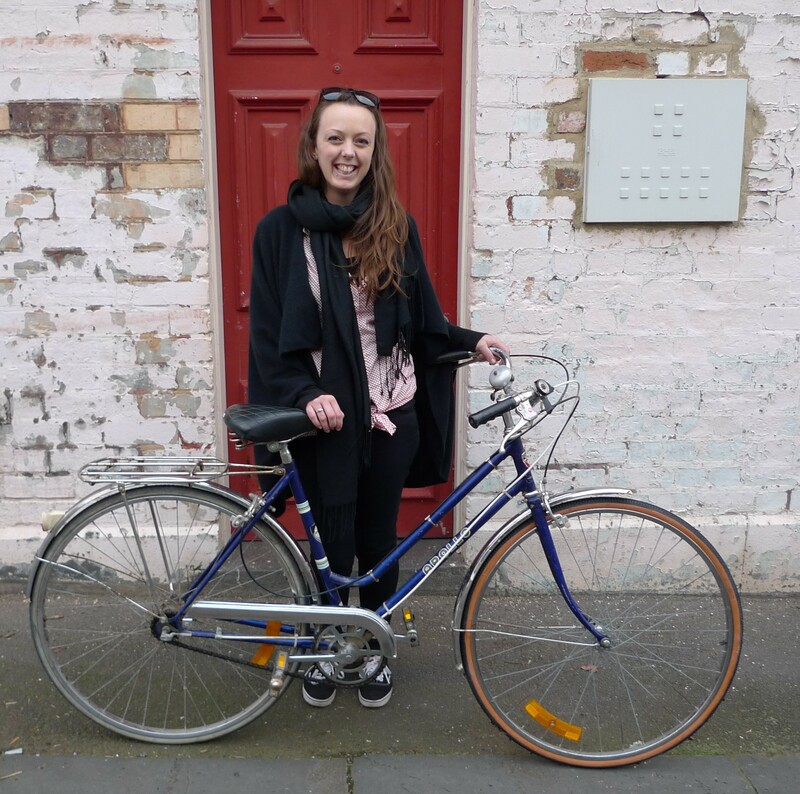 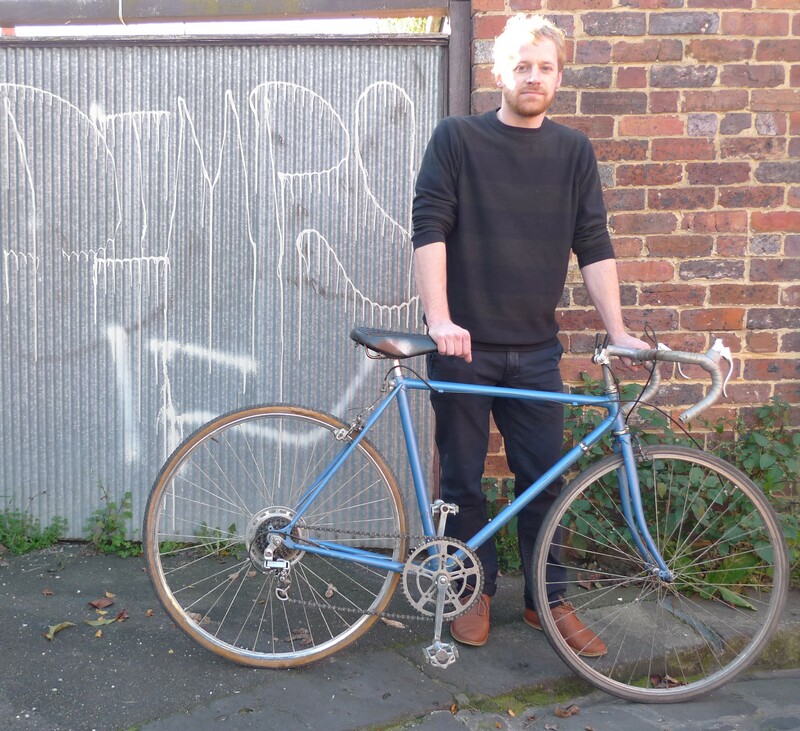 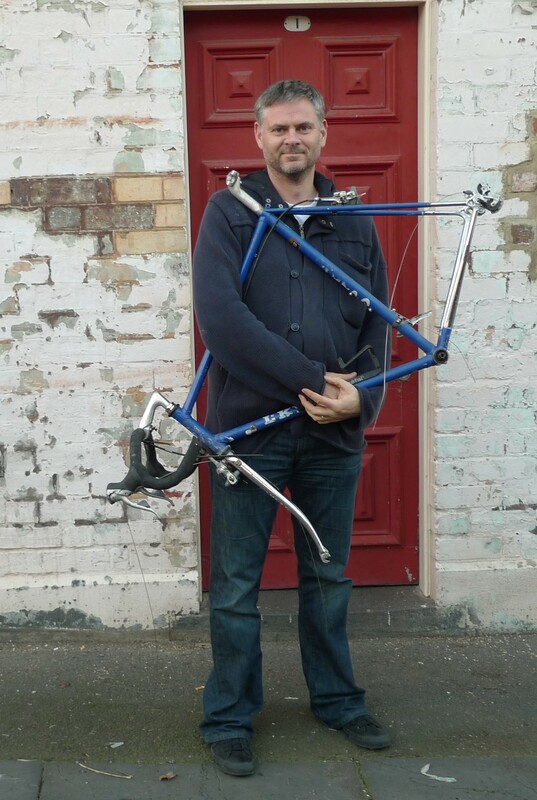 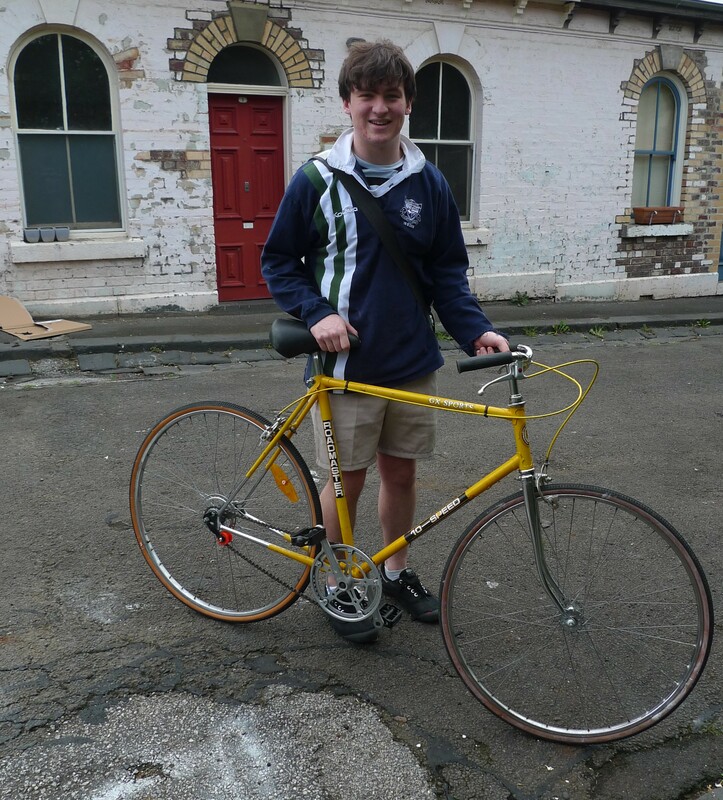 Contact me on 0448884051 Fitzroy to check out some vintage bicycles. 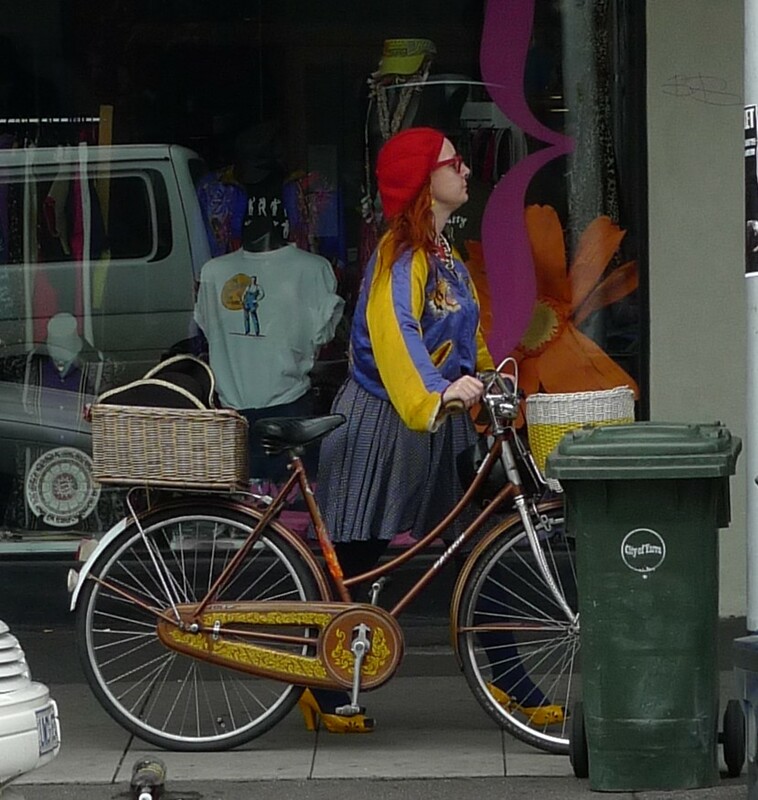 Vintage retro style in abundance on Smith St as a normal day takes on nostalgic elegance. 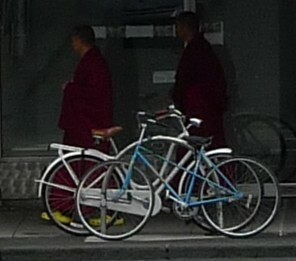 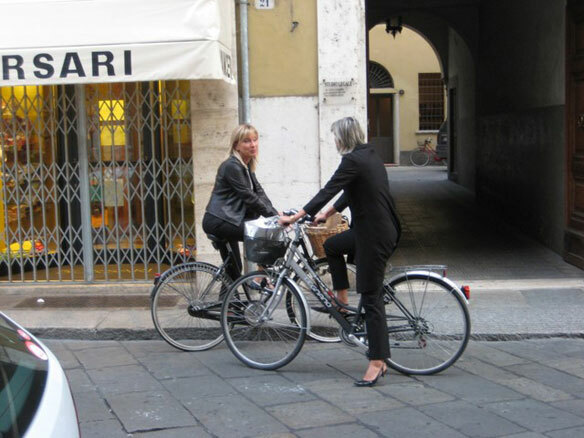 Bike lovers abound, meandering through the mornings warm possibilities. 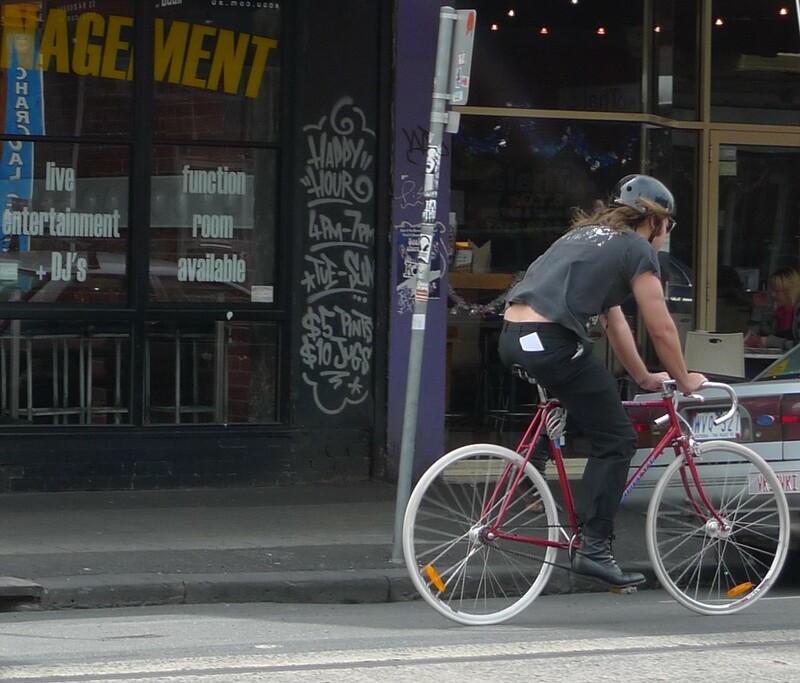 Vintage bikes Melbourne. 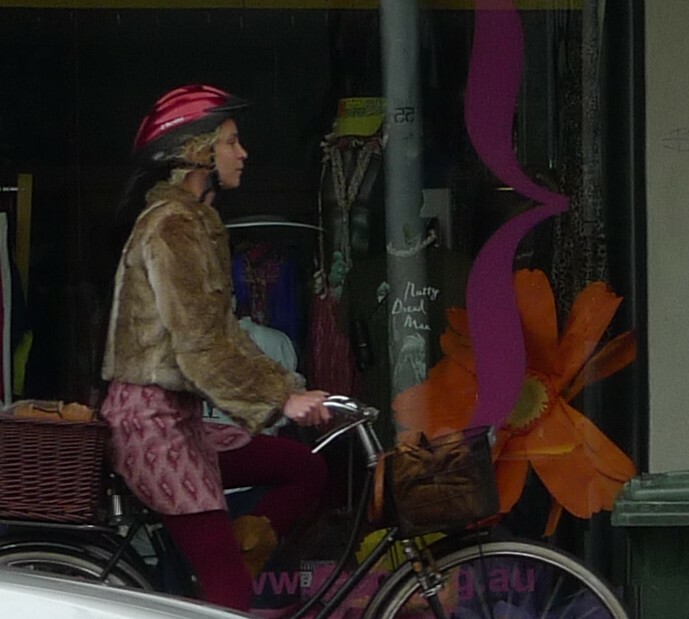 Bikes and bicycles floating by, vintage style, traces of the past whizzing through the now. 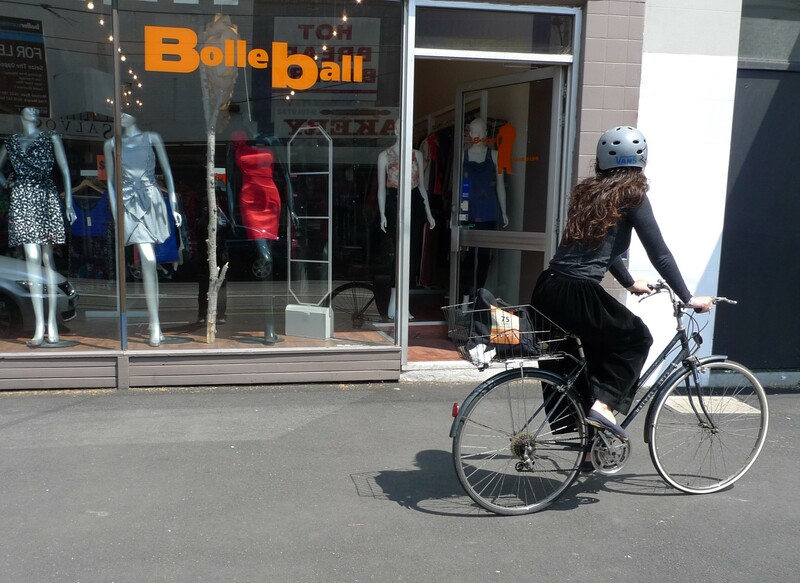 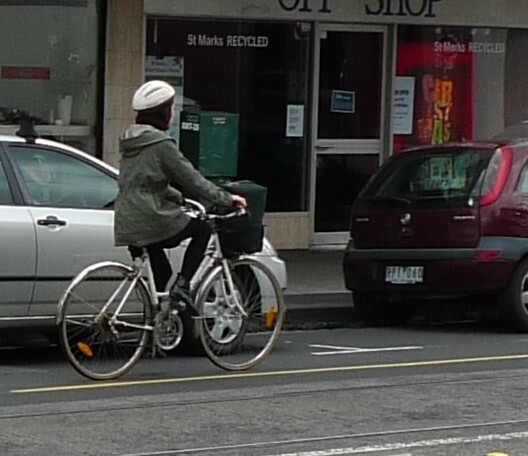 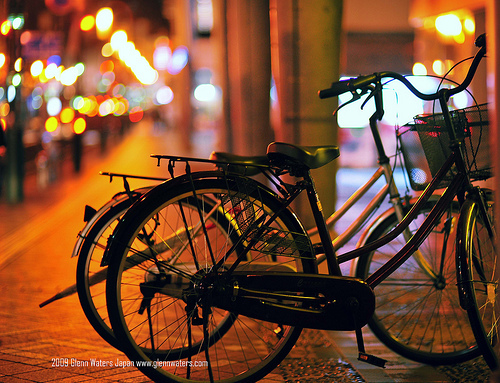 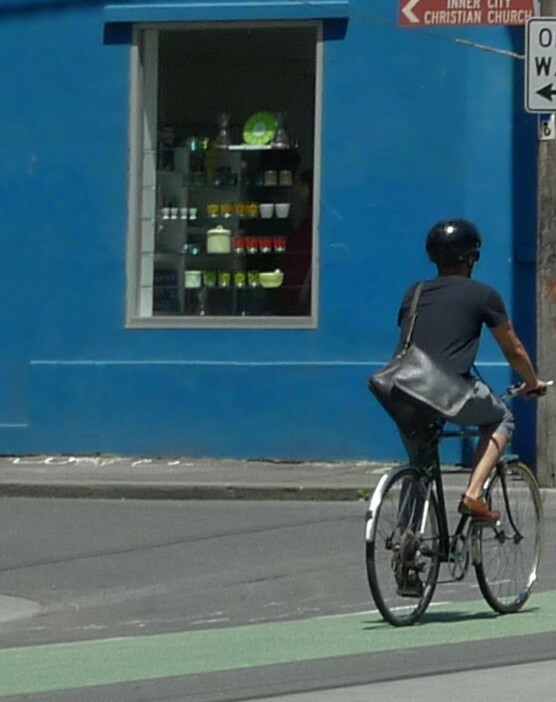 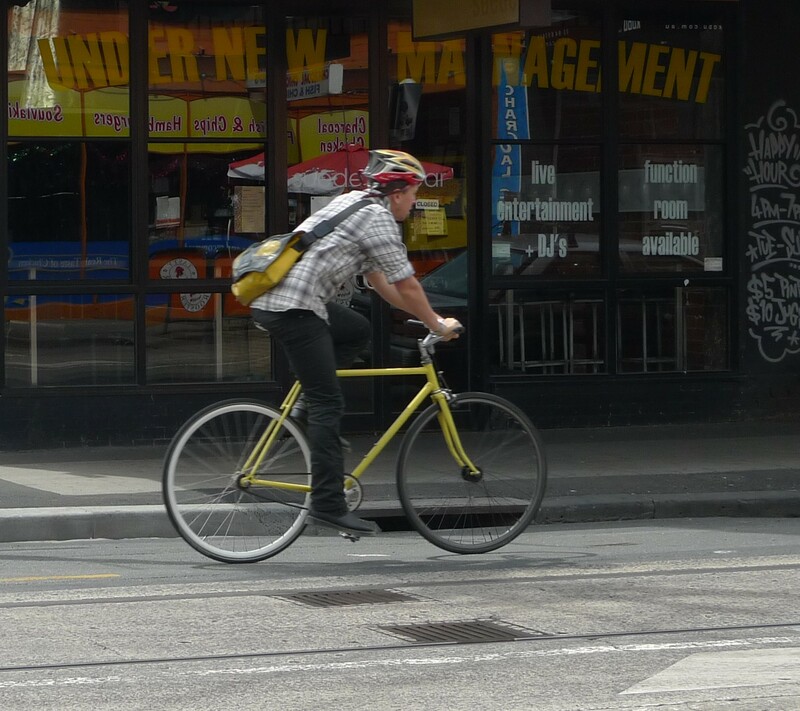 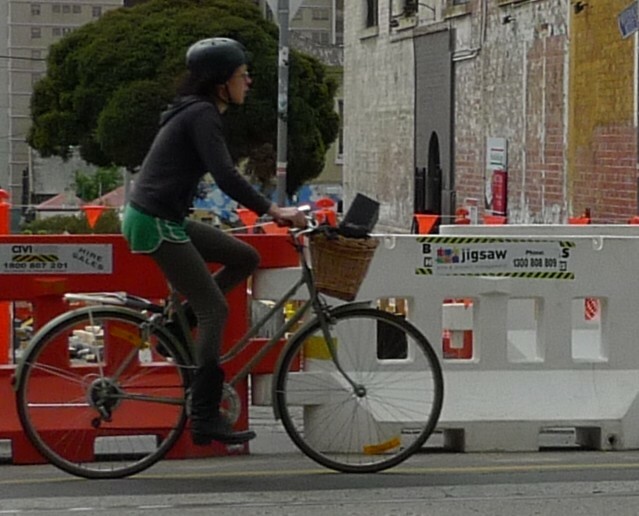 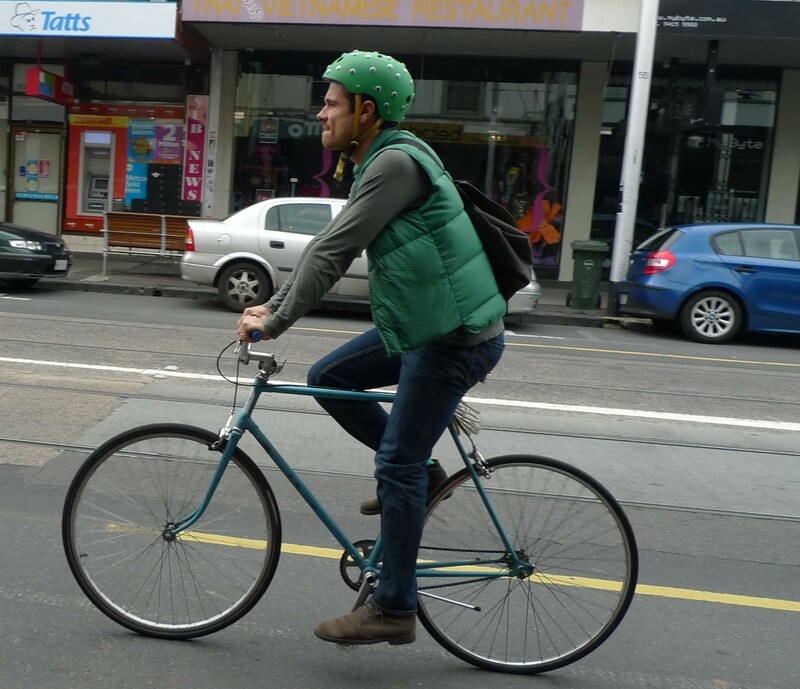 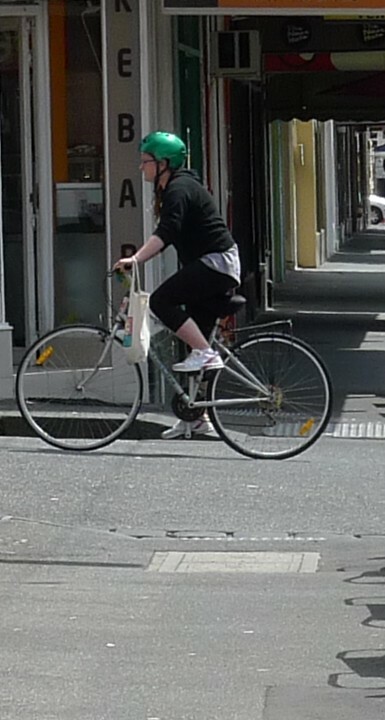 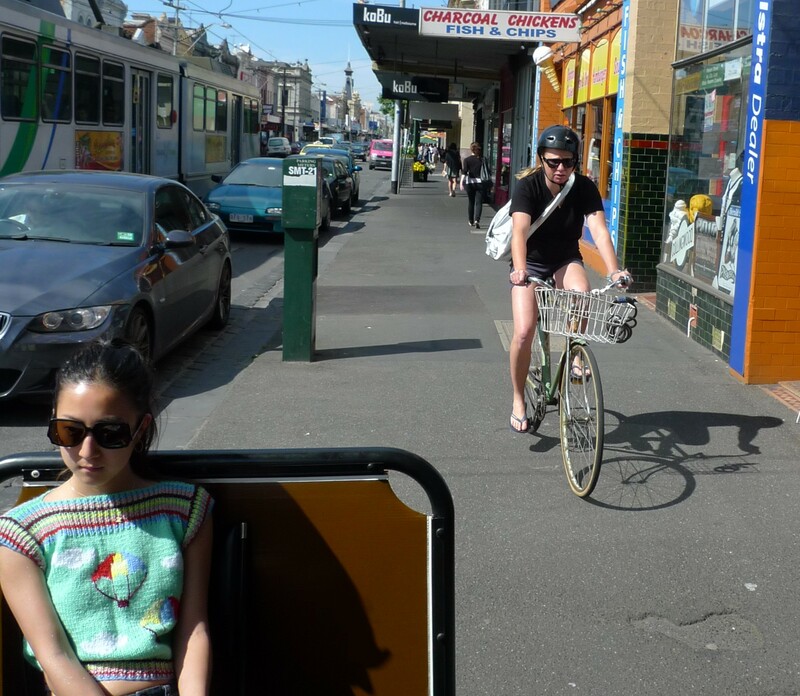 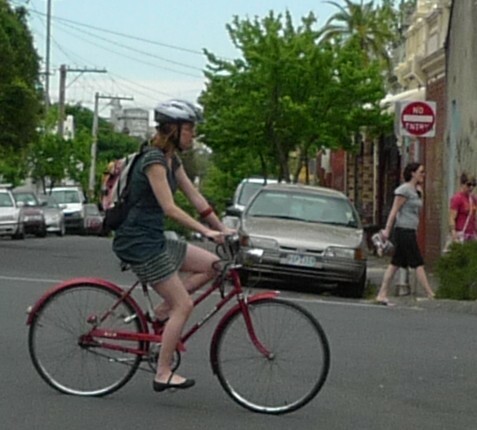 Smith St and Brunswick St, shots of locals cruising the warming Streets on their nostalgic vintage bicycles.